Drennan Loafers. One of Drennans most popular and versatile floats available in blow moulded plastic. They are light , buoyant and extremely tough. 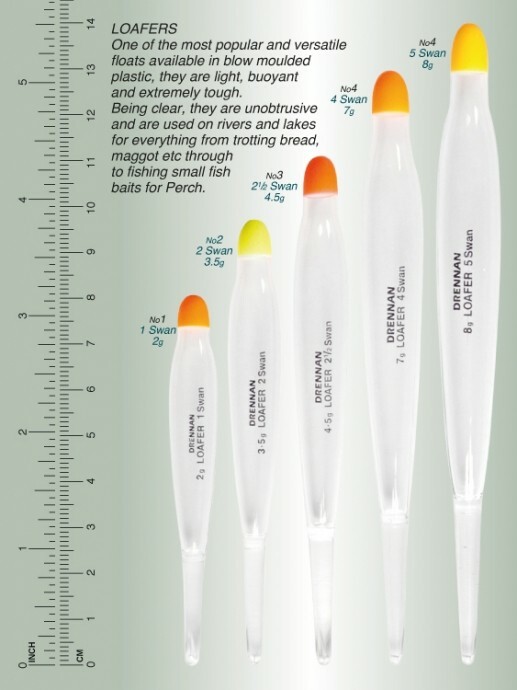 Being clear they are unobtrusiveand are used in rivers and lakes for everything from trotting with bread, maggot etc through to fishing small fish baits for perch.